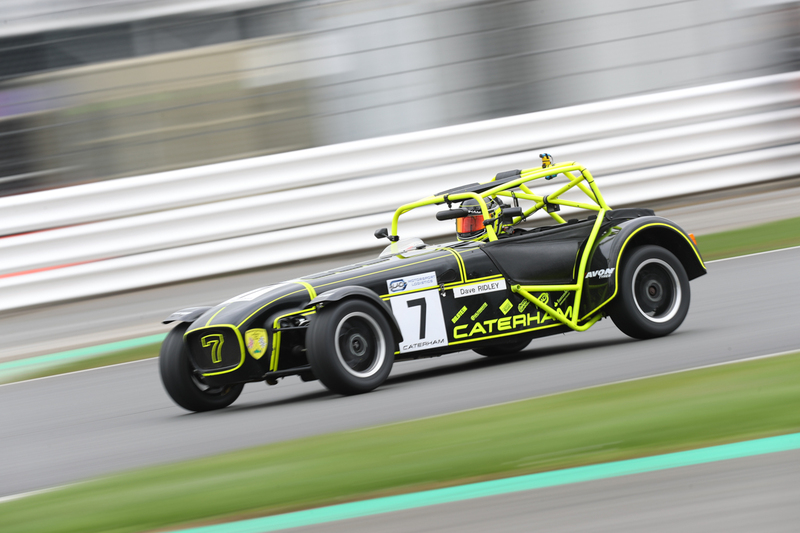 This weekend we hosted our first ever Caterham Motorsport Team Enduro at Silverstone’s National Circuit - and what a race it was! Our Super-Team formula brought together drivers of all abilities from our Roadsport, 270R and 310R Championships. The three-car strong teams, combined with our graded driver format, provided an exciting (and unpredictable) day of racing. Seven different teams lead the Super-Team category, with 27 lead changes throughout the course of the event. This was helped along by a frantic first hour-and-a-half, whilst the drivers got to grips with drive-throughs for track-limits and a few stop-go’s for failing to take the drive-throughs in time. We would like to congratulate the Power-Pratt Super-Team of Tom Power (Roadsport G2), Oli Pratt (Seven 270R G2) and Martin Pratt (Seven 310R G4). The team started 19th overall on the grid, but drove consistently, cleanly, and of course, quickly; enabling Oli Pratt to eventually take them briefly into the lead for the first time, 134 laps into the race. Oli took the final stint for the team and regained the lead inside the final 15 minutes of the race, crossing the finish line 14 seconds ahead of PT Sportscars Premier (Murgatroyd, McCall, Senior) with Solo 64 (Felet, Tredwin, Bristow) a lap behind. While all of the excitement from our Super-Team race took place, we also had two 420Rs adding to the mix – continuously swapping the lead between themselves. This was also helped by various penalties, including team “Two’s Company” magnanimously giving themselves a drive-through (for over-taking in the pitlane) before race control had even asked them to. Congratulations to Rob Watts, Jack Sales and Alex Jordon for the class and overall win by one lap (almost exactly). Thank you to everyone who took part in the inaugural Caterham Motorsport Team Enduro, we fully anticipate another Spring Enduro taking place at the start of next year and look forward to making this a regular feature in the motorsport calendar. Finally, our collective thanks go to the BRSCC and also TSL Timing for making this weekend possible.